Peter Williams Ricoh EuropeRicoh plans its biggest presence yet at drupa 2012 and visitors to its stand in Hall 08a (B46-1 and B46-3) will see software and hardware, suitable for print service providers which are growing their business beyond print or expanding into marketing and communications services. Corporate reprographic departments, or CRDs, can also see how Ricoh proposes to help them increase their commercial contribution. Also on view will be the Ricoh TotalFlow portfolio, Ricoh Pro C901 Graphic Arts Edition, Pro C751 digital colour cut sheet presses, and the InfoPrint 5000 VP full colour continuous feed platform. Ricoh is also showcasing the new Ricoh Carbon Balanced Printing Programme – the next generation of the Ricoh Business Driver Programme – and a new colour wide format printer. 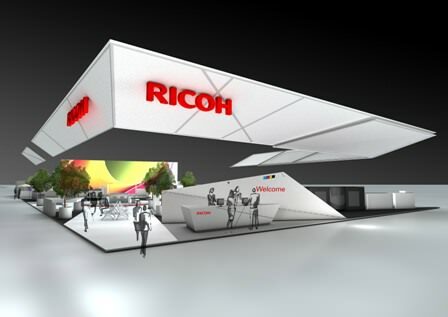 Ricoh application zones will be a special exhibition feature. Here, visitors can experience practical demonstrations on moving into new markets, how to access the latest industry knowledge and expertise and how to implement new digital workflows. The zones include marketing, packaging, publishing, transactional and enterprise. Ricoh customers at each zone will share their experience of transformation through offering new digital print applications and services. Ricoh is creating a personalised experience for guests who pre-register at www.ricoh-europe.com/drupa2012. They will be recognised through QR code technology and can enjoy a bespoke and interactive journey around the stand. This will be configured precisely to their needs whether it is to understand Ricoh’s web-to-print solutions or to gain insight into how Ricoh can support their business development needs. 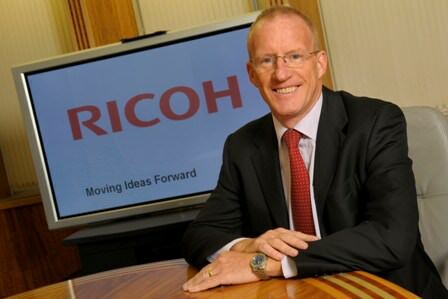 The next generation of Ricoh’s Business Driver Programme. This online portal will include new market intelligence reports, e-learning courses and services to support business transformation and print application development. It also allows members to connect with a community of leading consultants, Ricoh business specialists and other users through blogs and online networking tools. The Ricoh stand will also showcase the newest addition to its colour wide format inkjet range, the Ricoh Aficio CW 2200SP which addresses the growing CAD market. Ricoh’s carbon balanced printing programme, to be found in the environmental zone, is a European initiative which the firm intends to roll out globally. It is specifically designed to help print service providers reduce the environmental impact of printing when using Ricoh production printing systems, while providing a carbon neutral service to their clients. It follows a three-step process: analyse, optimise and neutralise. The first step involves an in-depth analysis of printing activity. The second step involves optimisation of the print environment. A carbon calculator – available through the Ricoh’s business driver programme – determines the carbon generated per print job. Optimal environmentally responsible ways to print are then identified and implemented. The final step involves neutralising the remaining and unavoidable carbon emissions. Also on show will be the InfoPrint 5000 VP full-colour continuous form platform which is the newest offering in the InfoPrint 5000 product family. It delivers production speeds of up to 722ft/220m per minute and is aimed at companies with extremely high volumes and tight print windows.